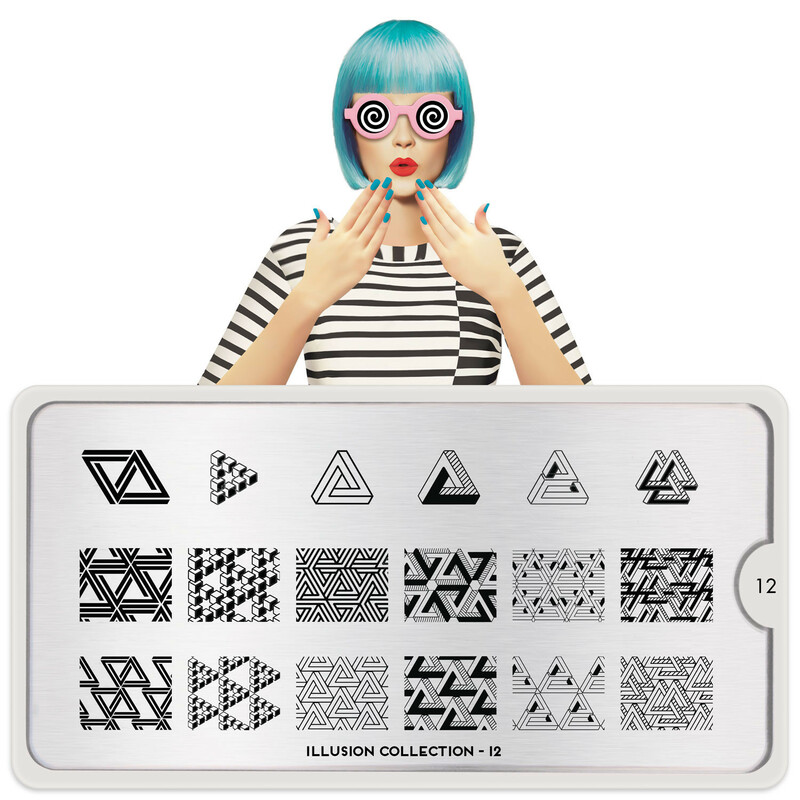 Lacquer Lockdown: Hot Off The Stamping Press: MoYou London Illusion Collection Expansion! 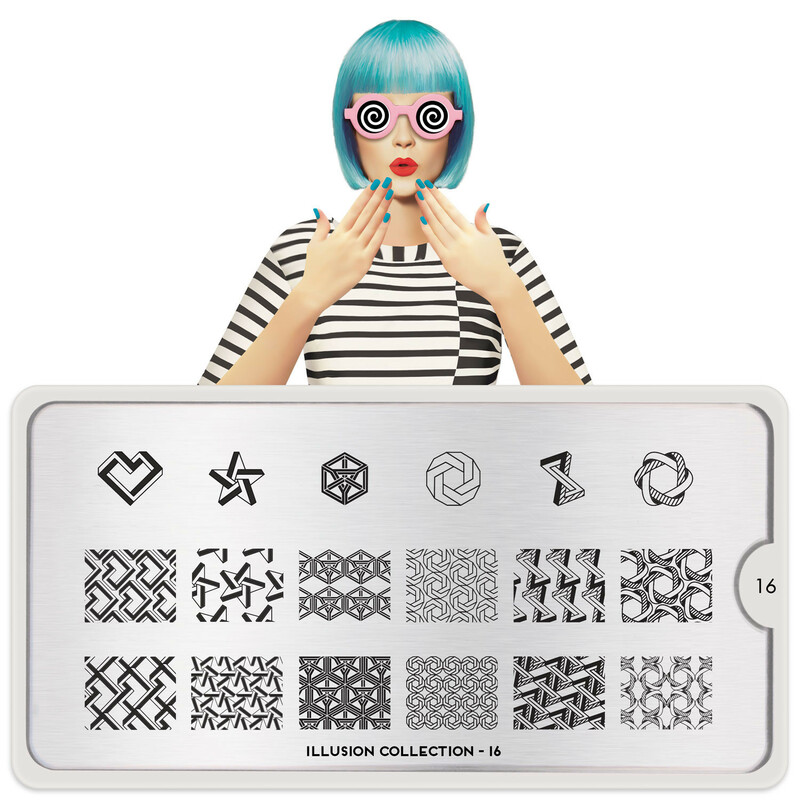 Hot Off The Stamping Press: MoYou London Illusion Collection Expansion! Still hitting it hard on the plate releases. This time its the latest expansion of the MoYou London Illusion Collection. Ugh I live for this collection it's like the most delicious serving of all the elements of geometric images I love! I could keep gushing I really could, but instead I'll just show you the goods. OMG this is everything. Everything great and delicious and perfect! I wanted every single plate in this release and then some. I am living for these triangles especially the nested black, striped, and empty ones. Everything about this plate makes me happy. It's even better in stereo I mean XL size! Obviously you will not be remotely surprised to know that I had to have this plate. Actually its tattooed on my soul and my heart. MYL can take all my money as long as they keep making plates like this! I even wanted the tiny images. The ones that might serve as some kind of accent to my longer nails. Hell that's just an excuse I just wanted them all! Ugh just love these images! And the best part all of them are so absolutely unique to any other images I've ever ever seen by platemakers. That's why ultimately I had to have them all. I love this collection so freaking much and I always will. So did any of you scoop any of these pretty lovelies? I plan on breaking them out as soon as possible to make my nails GLEAM! Meet me there and sweep them up on the MoYou London website. Plates retail for 5.99 GBP each + shipping. Happy hunting and see you next post!